Over the past 10 years, reports on the presence of thermophilic bacteria in terrestrial systems with no surface geothermal activity have increased. 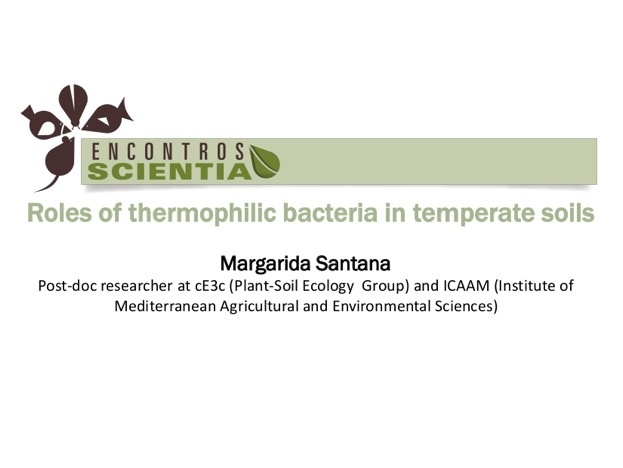 In particular, thermophilic aerobic bacteria with optimum growth temperatures around 70°C were observed in temperate soils and they were proposed to be endemic species at the studied sites. Manifestly, several questions follow, both regarding the evolution process that cause these bacteria to become seemingly ubiquitously distributed in soils worldwide and their ecological role. 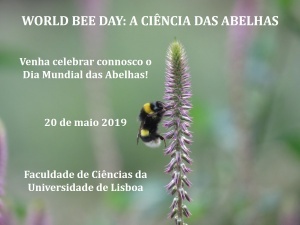 The study of thermophilic aerobic bacteria isolated from upper soil layers in South Portugal and Spain, layers that are seasonally exposed to high temperatures, has been a focus of my research in collaboration with colleagues of the Institute of Natural Resources and Agrobiology in Seville. We found that these bacteria may play a huge role in temperate terrestrial environments as active participants in carbon, nitrogen and sulfur cycle, with particular relevance in the organic-sulfur mineralization to sulfate. Based on an in silico comparative genomic analysis we unveiled the metabolic routes of sulfate production where the enzyme sulfite oxidase, absent in many mesophiles, is determinant. Recently, we collected data showing the ability of soil thermophilic bacteria to solubilize phosphate and to contribute in P biogeochemical cycling. Element cycling is fundamental for the availability of inorganic nutrients for plant growth in terrestrial environments. Nitrogen and phosphorus are often limiting elements for plant growth, and fertilization is often required; sulfur is required to maximize crop yields and quality. The knowledge of the sources of these nutrients as a function of environmental conditions is of major importance for the management of sustainable agriculture. In this context, biomineralization at high temperatures in upper soil layers might be increasingly important in the current scenario of global warming that led to increasing areas of soils exposed to high temperatures. Nutrient cycling analyses in soils at medium and low latitudes, where high temperature events are frequently observed, would benefit from considering the potential role of thermophiles. 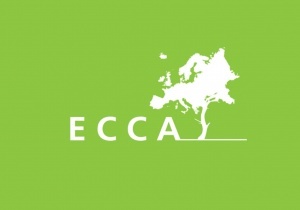 Could they be exploited as biofertilizers? Our tests have shown a positive effect of cultures supernatant on seedling development suggesting their potential use in soil nutrient supplementation. At the biochemical level, our thermophilic isolates have traits usually attributed to the mesophilic plant growth promoting rhizobacteria (PGPR). However, they are not proliferating in the rhizosphere, due to the low temperatures, which are below their minimal growth temperature. 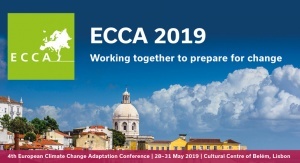 We are developing protocols able to mimic environmental conditions, where transient high temperature events occur, in order to understand the functioning of these bacteria in the bulk soil and in the rhizozphere and aiming at their future use in the field. 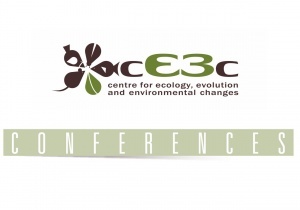 This conference will be broadcasted live via videoconference to the cE3c poles in Angra do Heroísmo - Azores (room PUrze 1) and Ponta Delgada – Azores (room SInf2). (-1h compared to Lisbon time). 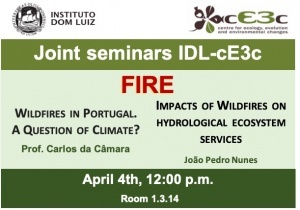 Conference Joint Seminars IDL-cE3c: 4 abril, 12h, sob o tema "FOGO"